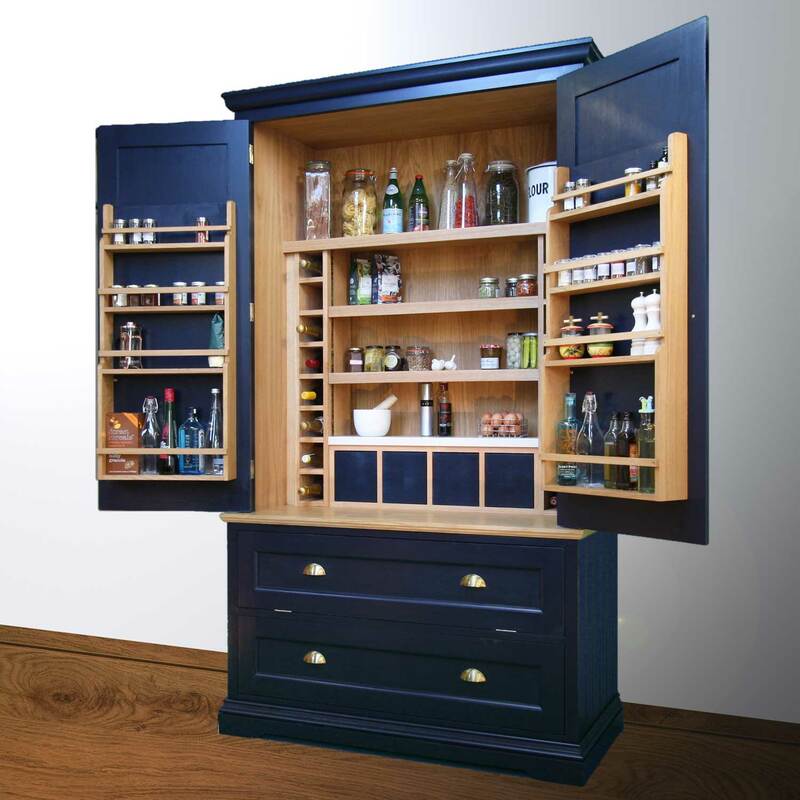 We make a selection of individual kitchen furniture including larder, pantry, island and preparation tables – so you could incorporate one piece of Shere Kitchens cabinetry with your existing kitchen for example. 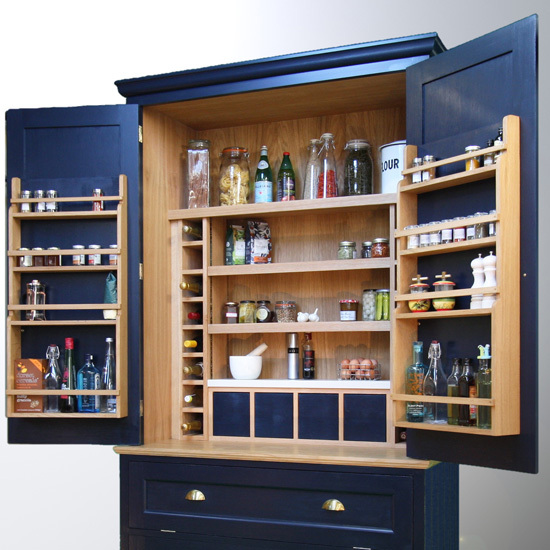 We are huge fans of larder and pantry units. 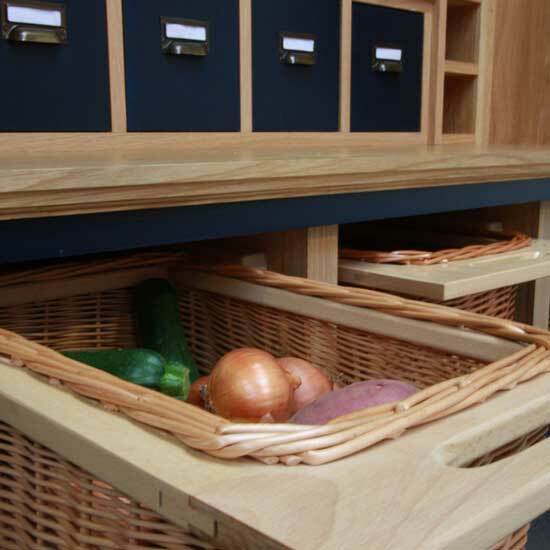 It’s so beautifully effortless to have all your provisions and groceries together in one organised space. Our larders are handmade with tulip wood doors and framing at our workshop near Guildford, Surrey. The drawers are made from solid Oak, dovetail jointed for strength and beauty. A range of colours are available. Please contact us for prices. An island can be so helpful in a kitchen in terms of offering a partition between areas – family play and entertaining space and cooking areas. Islands also offer a focal point where family and friends can gather to chat and help prepare and enjoy food. Our islands can be made with drawers, closed cabinets, open shelving, and with an overhung countertop to provide a breakfast bar. 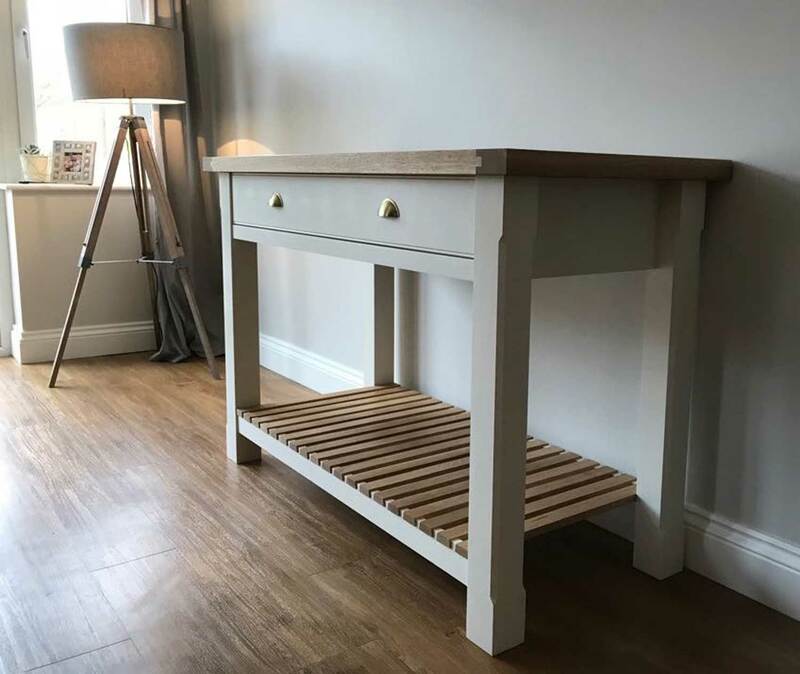 We offer a complete range of bespoke wood work surfaces for our island units as well as stone and Silestone. 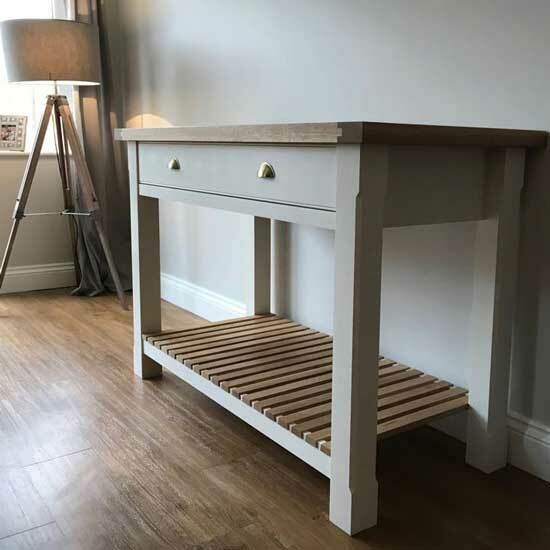 Prep tables are a very fitting addition to a Shaker Style kitchen – all about simplicity and utility. 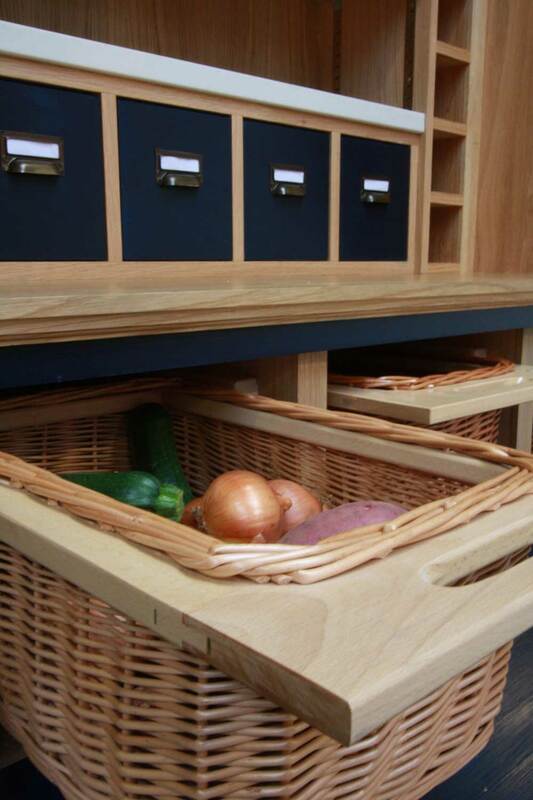 Ours can be made to any width and length you like with an oak, marble or granite top to keep it practical and honest. 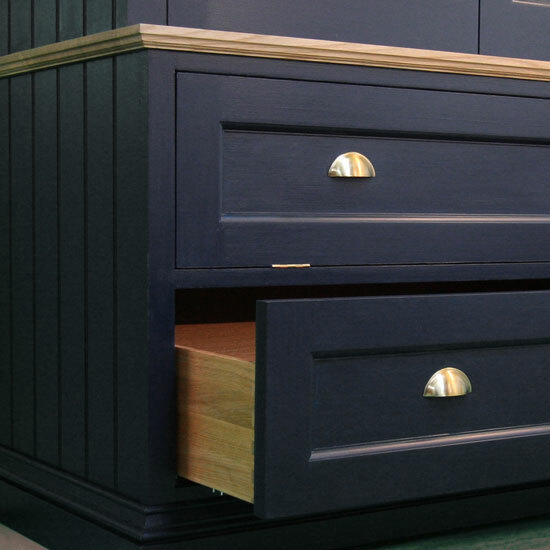 Optional drawers and a slatted base offer additional storage.